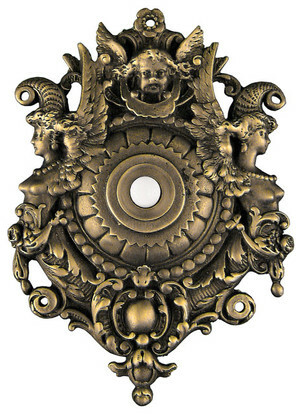 Normally, we only recreate antique American lighting, but when something this unique comes along we simply cannot resist reproducing it. 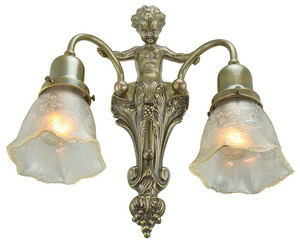 This is a reproduction of an early 20th century French 9-light chandelier. 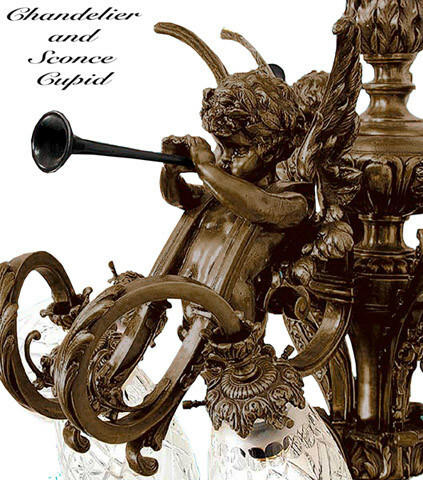 The cupids give a nice active fluidity to the fixture and have very sweet faces. 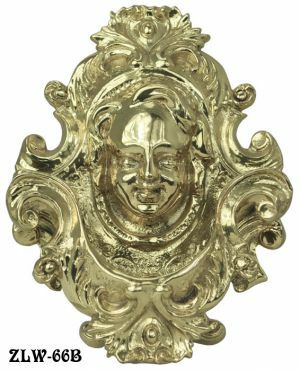 This fixture weighs in at an astounding 100 pounds of solid, lost wax cast, bronze and brass. 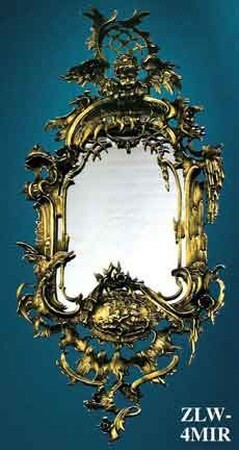 Comes in an lovely antique finish, slightly darker than the photo appears. Spread: 28 ½" overall (including pictured shades). Can be shortened to as little as 34" upon request. 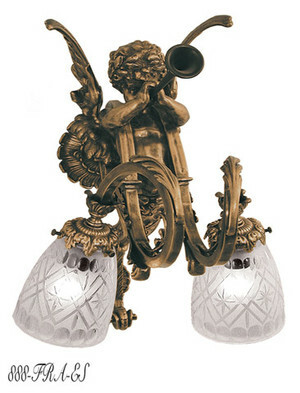 Wattage: 9 sockets, up to 100 watts incandescent each, yielding a total of 900 watts incandescent. UL listed. Shades are sold separately. Shade fitters are 2 ¼" in diameter. Pictured with our cross cut crystal shade. 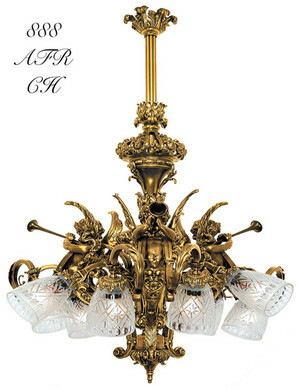 We have an abundant selection of 2 ¼" glass shades that would fit and look wonderful with this fixture. 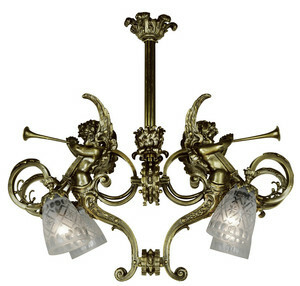 This chandelier has a matching 2-light wall sconce. 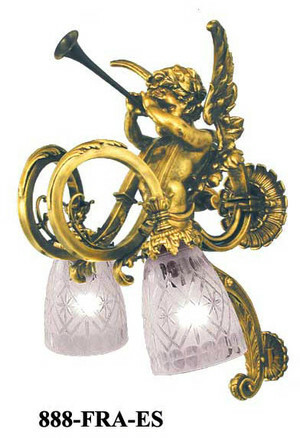 We have also recreated a cherub newel post light for those that can't get enough romance. Chandeliers require special shipping. This chandelier needs to be shipped by motor freight.